When I was a growing up as a child in suburban Highland Park, the rules of raising kids were different than they are now. In fact, there were few rules about what we did outside of the house during our free time. Sure there were moral rules like don’t steal and be kind to others, but we were pretty much on our own when hanging out with our friends. The old adage: “come home when the streetlights come on” really did apply. But times have truly changed. And state lawmakers across the country are discussing the concept of “free-range parenting”. A movement that allows parent to choose how to monitor (or not monitor) their kids without the risk of facing neglect charges. In March, Utah became the first state to legalize the concept. What this means is kids can participate in unsupervised activities without the authorities launching an investigation into an adult’s parenting skills and decisions. That means a child can walk outside alone, play without supervision, or wait alone in a car. It’s up to the parent to determine whether the child is mature enough for an activity, not the government. Child psychiatry experts believe free-range parenting should be handled on a “case by case” basis. Dr. David Anderson of the Child Mind Institute said recently on ABC’s Good Morning America: “If your 12 year old child is capable of walking home from the bus stop by themselves, that’s something that you might make a decision about, where another 12 year old may be too impulsive”. 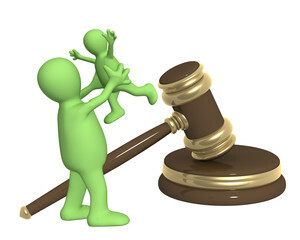 Here’s the law in Illinois as it pertains to child supervision. Unattended in Vehicle: Child six or younger cannot be left for more than 10 minutes without being supervised by someone over the age of 14. Home Alone Age: A minor must be 14 years of age or older to be left alone for an extended period of time.